Inspire podiatry are Brisbane Northside child podiatrist experts. We achieve excellence in the clinical care of assessing and treating child foot pain. Kids Feet are Our Passion. Our principle podiatrist Helen Claybourn is an expert in Children’s feet. She has worked in clinics as the paediatric podiatrist and lectured at University Level. She has over a decade of experience in treating just children on a full-time basis. Our focus is to ensure your child has appropriate lower limb growth and a pain free active childhood. If your child is complaining of lower limb pain, you are not alone. 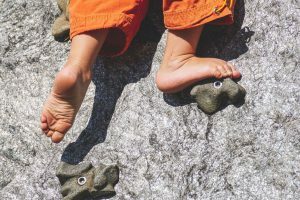 Thousands of Aussie kids face foot problems ranging from delayed walking, growing pains, heel pain and ingrown toenails. Believe it or not approximately 8/10 parents fail to get their child’s feet checked by a podiatrist in their younger years. Early intervention can make a big difference. I’m sure you will agree that every parent wants their child to be able to hop, skip and jump without foot pain. Did you know that your child’s foot alignment is passed down from genetics? We want your young athletes to achieve the training loads they want to do, without pain! Is your child experiencing any of these foot pains? 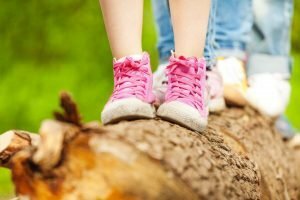 What should you expect if you see a Podiatrist with expertise in children’s feet? How We Treat children is different from adults as there are many developmental milestones especially in the foot and knee from birth to age 15 years. It is essential that we measure normative values and assess the lower limb to get an accurate diagnosis. 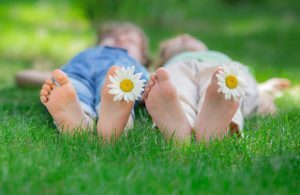 Common questions asked about toddlers feet. What are the best shoes for a toddler? Toddler shoes and getting the correct shoe fit for a toddler can be a difficult task. Choosing the correct amount of support depends on your child’s foot posture and how flexible they are in their joints. You should never buy a shoe too big for your child as their special awareness and balance can cause increased tripping in children. It is best to book in for a child screening assessment of their foot posture and then we can give the right shoe fit advice for your child. 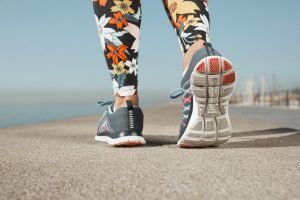 How do you fix walking on the inside of your foot? 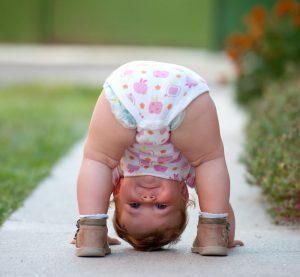 Do toddlers need arch support? This is an easy fix. We use a little kiddy shoe insert to support the arch of a child’s foot. Treating children’s foot problems can be very affordable if detected early in life. Often a custom-made shoe insert is not needed when their feet are so tiny.